Bedwetting is a prevalent symptom of Obstructive Sleep Apnea Syndrome. 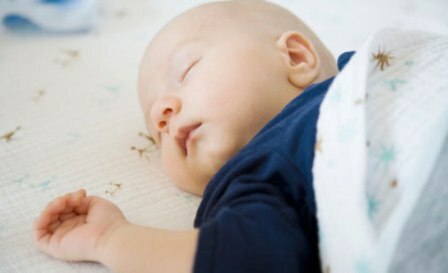 A baby suffering from this syndrome may show signs of excessive sweating at night especially during sleep. Choking and drooling from the mouth is also a sign of this syndrome. Movement of the ribcage inward is a major symptom. Babies often show learning and behavioral disorders. Feeling of fatigue, sluggishness and sleepiness is a common symptom. Snoring and being restless in bed. Pausing for breath or sometimes even absence of breath is a common symptom. Babies often sleep in unusual positions when suffering from this syndrome. They tend to sleep on their hands and knees with their neck extended. Obstructive Sleep Apnea Syndrome affects the sleeping pattern of the child, which results in laziness and sleepiness even after waking up. This leads to tiredness, behavioural disorders and also attention problems in children. Treatment for Obstructive Sleep Apnea Syndrome involves keeping the throat open for proper upper airway flow. Removals of adenoids and tonsils with the help of surgery or even continuous positive airway pressure by making the child wear a nose mask while sleeping helps the flow of oxygen in the lungs and to other organs of the body.